Here are a few things to look for during the opening weeks. Salad greens are at their best in early spring. 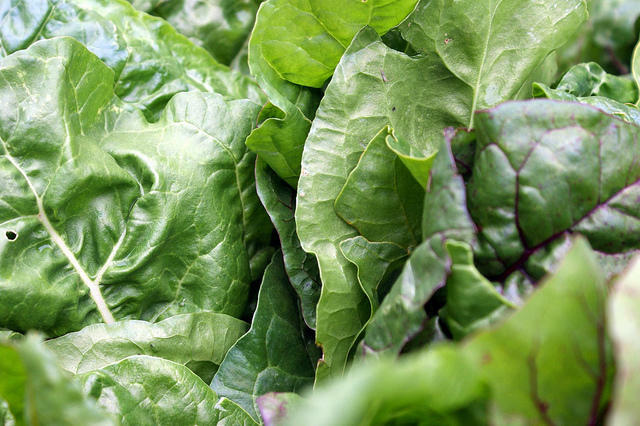 This is a great opportunity to go outside the box and try a few of the more exotic types, like red oak lettuce, frisee, radicchio, rocket and curly endive. Ramps are in. These savory broad leafed cousins of the scallion flourish in the mid-Atlantic, and have become very hip in restaurants around the region. Baby spinach is so easy to find this season. Much milder than its grow-up siblings, baby spinach is great served raw in salads, or cooked in a variety of dishes. Asparagus is the Queen of the Spring, and Maryland is ground zero for high quality produce. Some of them grow thin, others grow fat. You decide which you like better, then run with it. Strawberries are on the way. This year you might want to think about whipping up a batch of strawberry preserves, and literally spread the goodness throughout the year. Finally, keep you eyes open for squash blossoms. These beautiful orange and yellow flowers are 100% edible and are outstanding given a tempura batter treatment.